The first time I was awarded Microsoft Most Valuable Professional Award I was awarded for .NET Compact Framework which ran on Windows CE and Windows Mobile. Fast forward 10yrs later and was re-awarded for for the 10th time in a row for Windows Phone Development. Over the past years, I’ve meet a lot a lot of people from all over the world who just love technology and sharing their knowledge with everyone around. Being from Canada, it is great to see so many new faces and people sharing their knowledge with the local community. 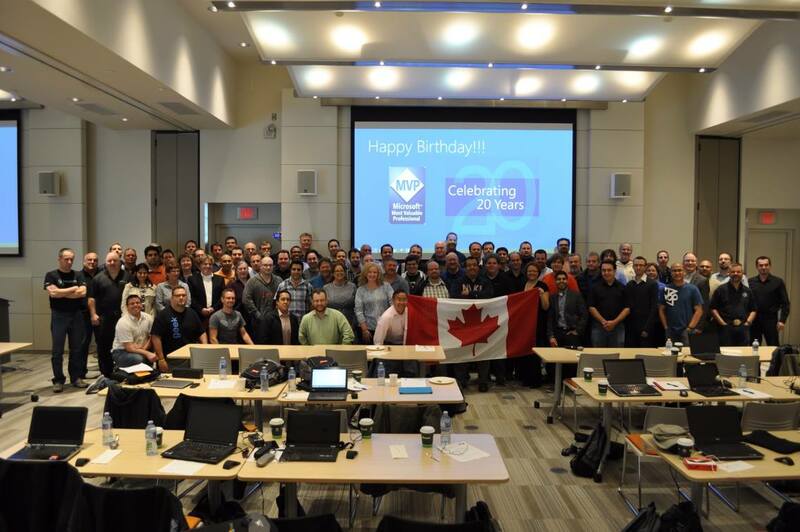 There are over 4,000 MVPs around the world in 90 countries and it’s a privilege to be part of a group like this. I guess now I’m considered a veteran to the MVP program, but here is to another year in the community and as a Windows Phone Development MVP. If you see me at a conference/event, feel free to say hi, always great to meet new people! In a previous article I covered some of the security features from a platform level available with Windows Phone 8. In this article, I’ll go through some of APIs available to help secure your applications, what Windows Phone gives you out of the box and also various ways to secure your applications. SSL certificates allow you to connect securely to a backend webserver by encrypting the communication channel using the HTTPS protocol. Depending on your use case, you may want to implement an SSL certificate in your backend web services to make it difficult to intercept and decipher the data being sent by your app. For example, if are building a game and have a leader board in the backend, you may want to encrypt this channel to prevent someone from submitting some false data. I buy my certificates form K-Software which is a reseller of Comodo (but a lot cheaper) and have not had a problem with these. But whatever you buy, verify with the lists above. Application security for developers is a very large topic, but Windows Phone does make adding security to an app easier for developers and also to help keep an end users data safe. With an article recently published on Building Secure Windows Store Apps, pretty much all of those concepts can be used on Windows Phone 8. I thought it fitting to describe some of the security features available on Windows Phone that developers get for free and what is available to use within their apps. Windows Phone 8 is based on the ARM version of Windows 8 so a lot of the security features available on the desktop come for free on the phone such as Trusted Boot and Code Signing. What are these for? Basically these features help protect the phone boot process and operating system from malware attacks (ie rootkits) by making sure only validated software components execute. 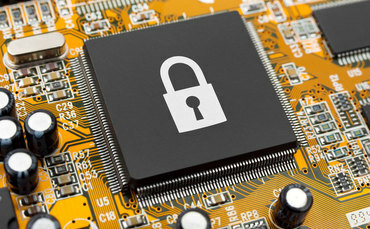 The Trusted Boot technology validates Windows Phone firmware images and all boot components have digital signatures that are cryptographically validated. This helps ensure that only authorized code can execute to initialize the device and load the operating system, Windows Phone. This helps protect the integrity of the phone and also the end user from potential malware. The other day at Web Not War DevCamp I did a TED Style talk on “State of Mobile Industry for Developers” and talked about some of the market share numbers and what tools are available for users not just on Windows Phone but on all platforms. These numbers are also for smartphones and feature phones (or non-smartphones) combined. Web Share Icon Project which seems to be the one most everyone uses. I’m sure most are already familiar with this icon and is pretty standard. Web Share icon which was created by Shareaholic which is called the Open Share Icon. I was not very familiar with this icon until I noticed it on Windows 8.
iPhone On the iOS platform (iPhone and iPad) seems developers have gravitated towards the Share Icon Project icon. Android On Android, seems there is a mix of icons used and uses both the Share Icon Project icon and it’s own icon with a ‘circle with two arrows pointing up’. Windows Phone On Windows Phone, well they don’t use any of the ‘standard’ icons and went their own way also. This never really made sense to me as to why they did this but it is what it is. So what is a developer to do? Well here is my advice, use whatever is standard on the platform, that is what most users will be familiar with and comfortable using. I think you want to keep users comfortable with your application and not deviate from the norm on the platform. You want to keep that user experience consistent and make your application feel as though it’s a part of the platform and not something that has just been shoved into the platform from a port. What do you think? Agree? Disagree? Let me know! Feel free to contact me here or via twitter @MarkArteaga! Back in August, Google announced that they are buying Motorola for $12.5billion. Great buy on Google’s part because it will somewhat help defend them in the patent issues they are currently facing with Android and OEMs using Android. Will this help $GOOG win the smart phone battle? Don’t know, but they are sure taking a large chunk of the market! What does this mean for Windows Phone? Don’t know either, but they do have Nokia; which used to have the largest marketshare, on board to deliver Windows Phone based hardware. Unfortunately they have been steadily losing a very large chunk of their marketshare. Over a year ago I did write an article on whether Windows Phone will succeed, and over all I think it is doing pretty well considering it started from scratch again (Yes I’m optimistic ) but don’t think it has been fully successful yet. Today is an exciting day! Not only is it the launch of Windows Phone 7 in North America, but it’s also the day we launch our new website!! The site is completely redesigned, has a cleaner look and tells a better story of what RedBit actually does. We can now proudly display our customer list, customer testimonials and best of all some success stories with our customers. We also have a section for our products that are currently being sold in the Windows Phone 7 Marketplace. Oh ya, we also now have a company RedBit blog. It’s light in content, but expect to see all our technical and non-technical content there. Here are some videos that I’m sure would make things a little more clearer than the definition above. Implementing an augmented reality application on Windows Phone 7 should be possible because all the appropriate hardware will be included on all device such as camera, compass, accelerometer, powerful CPU, GPU & GPS. The only thing it won’t have is a gyroscope but who knows that could change. Only problem from a developer point of view is there are no APIs available to access most of this hardware. You do have access to the camera via the Launchers & Choosers APIs available on Windows Phone 7. Unfortunately this is very limited access via the CameraCaptureTask API. So what are we missing? APIs to the compass and APIs to the accelerometer. Thankfully all Windows Phone 7 hardware will support a compass and accelerometer. You also need better API access to the camera like getting the raw frames from the camera directly into your application. But Wait! There is hope! I’m expecting all the above issues to be a ‘v1’ issue with Windows Phone 7. Let’s face it, Microsoft needs to get this phone out the door fast as the competition is way ahead. So in the end, we may just get access to the appropriate APIs and augmented reality on Windows Phone 7 may just be a reality for developers. So, since October – November 2010 is essentially ‘Holiday Season 2010’ (I’m already starting to see Christmas trees in stores) maybe the Windows Phone Developer team will give us a nice surprise at launch. Imagine apps like FourSquare or MLS or XNA Games on Windows Phone 7 using augmented reality! I for one can’t wait! It’s been a long time coming but Windows Phone has finally got some Game! And I’m not talking about the great new user experience or Metro Design Language. I’m not talking about the great & free developer tools that are available such as Visual Studio 2010 Express for Windows Phone and Expression Blend 4 for Windows Phone. I’m also not talking about the technology used to build superior mobile apps and a mobile phone such as Silverlight for Windows Phone or XNA for Windows Phone. I’m literally talking about GAMES! Games from companies such as Gameloft, Konami and THQ to name a few. There are games for every type of player such as puzzle game "Bejeweled™ LIVE", "Guitar Hero 5", fighting alien invasion with "The Harvest", painting your way out of a corner with "Max and the Magic Marker” or defend your city in "Crackdown 2: Project Sunburst”. And that’s just a small sample! Four years later with Windows Phone 7, you now have the power of XBox Live in the palm of your hand. Here is a list of official games from the press release 63 in total so far and that’s only the beginning! There is also an app that uses your Avatar to add some flare to the typical ‘flash light app’, ‘flip coin app’ or the ‘use your phone as a level app’. Now all they need is to add is your avatar farting and you got your ‘fart app’! Games & XBox Live. Just one more reason why Windows Phone 7 will succeed in the marketplace. For more details check out Engadget as they have a great overview of the games they tested. It’s all coming together beautifully for the Windows Phone team and Microsoft in general in their Entertainment & Devices Division. You got Windows Phone 7 with lots of apps, games and a fantastic user experience, XBox Live, the newly designed XBox 360 and Kinect. Best of all, XBox 360 was the best selling console for July 2010. What does this mean for me? Well means I’m going out to get an XBox as I don’t have one! I’ve already seen games from local developers that work on the PC, XBox (TV) and phone. Add to that Kinect and the new slick XBox 360 console and I’m in! All I need now are some of those games on my phone! So is this enough reason for you to get a Windows Phone? Share your thoughts via comments here or via twitter! What a title and you are probably thinking “what the hell is this about”! First a little background. There is the Dos Equis brand of beer and the main “star” of the beer commercial is known as “The Most Interesting Man in the World”. Cracks me up whenever I see these commercials. So we’ll let you decide! Brandon, Anthony and I want to know what you like. We are running a poll to decide on “Stay Nerdy My Friends”, “Stay Geeky My Friends” or “Stay Connected My Friends”. We’ll be running it for a few days so be sure to cast your vote!